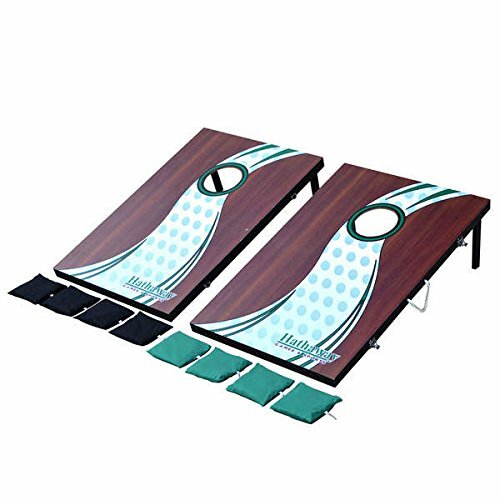 Challenge your friends to a game of bean bag toss with this easy-to-transport game set. Collapsing legs and quick-clasp latches make it a cinch to fold up the boards and prepare them for transport. Grab the rope carrying handles, and carry the set to your next tailgate, cookout or other indoor or outdoor gathering.